The elegant aesthetic of an antique claw foot bathtub meets the convenience of modern amenities. Pure white acrylic construction is easy to clean and cUPC certified. The angled backrests allow for versatile installation. Overflow drain is included. MAAX New Town 6032 (IFS) acrylic tub with Aerosens is perfect for any renovation and remodelling projects at an affordable price. The Aerosens air system gently enfolds you from head to toe with therapeutic air bubbles, thus providing an encompassing massage. This simple and affordable system designed for everyday relaxation is easy to operate with its deck mounted on/off push button controlling the 1-speed pump. The New Town tub features an integral apron with access panel and tiling flange for alcove installation. Minimalist inspired design with clean lines and modern look. Its spacious interior features discreet integrated armrests for additional comfort. Ample deck space for faucet installation. 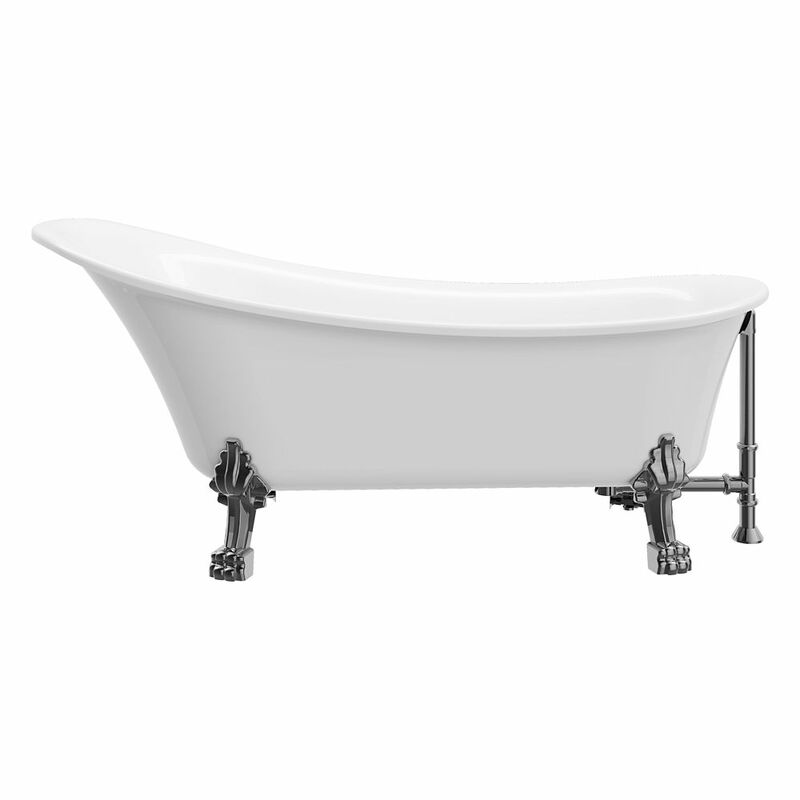 Achilles 69 inch Acrylic Ball and Clawfoot Slipper Non-Whirlpool Bathtub in White No faucet The elegant aesthetic of an antique claw foot bathtub meets the convenience of modern amenities. Pure white acrylic construction is easy to clean and cUPC certified. The angled backrests allow for versatile installation. Overflow drain is included.